Sign-up for our newsletter to receive news, updates and more from Nanette Levin! Roman was a Thoroughbred yearling bought at auction. I can’t recall his registered name as the nickname stuck. People used to ask me if I chose the name as a regal designation. He was a big boy (17.1hh), nice-moving and a striking chestnut color. The truth is, he was Roman-nosed and pig-eyed. The former seemed like a kinder choice for a moniker. Roman was bought as an intended racer with decent bloodlines and good conformation. What I didn’t know until much later (lesson learned – spend more time researching progeny that didn’t run) is that his stallion had track record of producing bowed tendons. Would Roman be a superstar? This is Gumby – Roman’s former pasture buddy. Gumby went on to become a stalwart event horse for advanced and beginner riders alike – until he hit the Preliminary Level (didn’t have the talent to clear the expanses nor the brains to realize he couldn’t). His next career was as a prized hunter/jumper. I’m not a proponent of starting horses early. It was dumb to bring Roman to the racetrack in the fall of his three-year-old year. I figured I’d just give him a month or two getting acclimated to the place with light training. The trainer had a different plan. He bowed during his first breeze. So, I took him back to the farm, did the doctoring, stall rest and reconditioning thing and grew excited as he morphed into a sound and much more substantial four year old. His workouts from the pole and the gate were inspiring. He easily held his ground from stride one with seasoned company, including sprinters. This is not a common feat for such a big boy, particularly a maiden. As it came time to enter him in his first race, there was something about the way he was going that bothered me. It was nothing anyone could see, but he just didn’t feel right. One last two-minute-lick (that’s galloping a mile at 30 mph) seemed the right thing to do to verify his soundness prior to entering him with a field of horses where he’d be traveling at a much quicker clip. He bowed both front tendons just past the 7/8th mile mark. I was aboard. Remarkably, he stayed on his feet. Although others pushed to bring him back to the track (he showed remarkable talent), I decided it was time to find another career for this amiable guy. It was amazing to witness his natural balance, cadence and beautiful movement the following year with dressage requests. This big critter easily handled a 20-meter circle at all gates, while staying round without prompting. His new ideal career path became obvious. A hunter/jumper trainer came out to take a look. Sometimes, the more you discourage people, the more determined they get. I cited the bows, voiced concerns about him holding for a jumping career, reiterated my belief the dressage arena was his calling and required several visits before I’d consider a sale. He wanted this horse for one of his students in the worst way. Roman spent a good number of years handling a tight indoor sand arena for training lessons over fences and shows that brought him to many different places. The gal who bought him loved him dearly, pampered him and enjoyed their time together immensely. Roman was thrilled to do anything he could to make her happy. She called me many years later, after he bowed again. She wanted help finding a great home for this horse that had touched her so deeply. She deserved credit for recognizing he enjoyed training too much to spend the remainder of his life in the pasture. It’s a small world. Roman’s now three miles from the Halcyon Acres® farm where he lived from age 1-5. The current owner knew him from those days and was very fond of this gelding. He was ready to consider a trail companion replacement for his beloved older horse lost the prior winter. Roman was a steady, quiet and unflappable mount on the trails during his early training. Bugs drove him nuts, but only for about one month each year when they were bad enough to get his head tossing. That and his annoying penchant for using his water bucket as a manure target were issues I mentioned before the exchange. Roman still shits in his bucket (and has moved it up a notch to include the pasture water trough). He’s kept off the trails when the bugs are swarming. But, he’s proven to be an awesome trail horse for his gentleman owner and his daughters, with a personality that keeps everyone laughing. This will be his home for the rest of his life. He’s happy. Just because a horse is no longer able to compete (or maybe never was) in the career you envisioned for him, doesn’t mean he can’t enjoy a different path. Most horses thrive on engagement with humans. Shipping a horse to a rescue, turning him out to pasture or dumping him with the highest bidder isn’t fair to a horse that’s served you well. Holding onto him when you no longer have time isn’t right either (I’ve done it too). You’ll both sleep better if you spend some time thinking about – and exploring – what kind of work (and person) might keep him happy for the next chapter in his life. Do you have a story to tell about a horse you re-homed? Please tell your story in the comments below. Don’t forget to click on the share buttons to the left of this post if you enjoyed the read. Thanks for taking the time to come visit. « What’s in it for you at Horse Sense and Cents®? 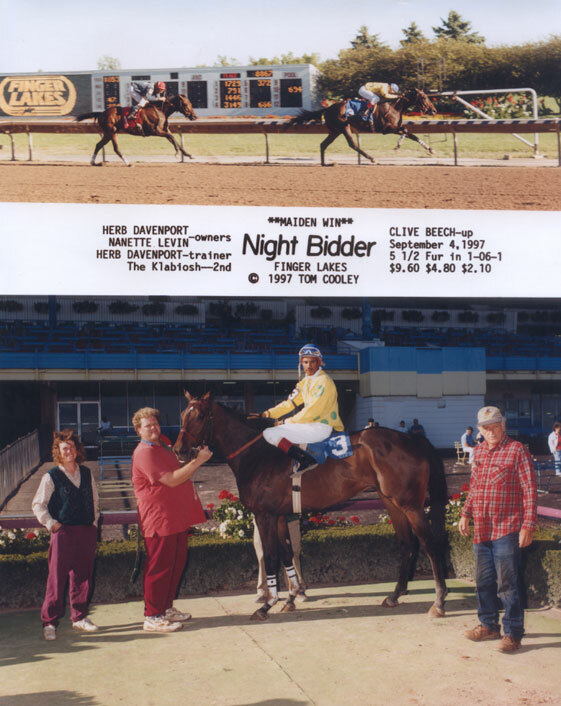 A vet friend purchased an underweight, rain rot covered off the track appendix QH gelding when he was called out to pull Coggins on six horses headed to an auction. This was too nice a horse, about 9 years old, to end up in the shape he and his pen mates were in and likely to end at the slaughter house. I had a friend looking for an horse with eventing potential so we went to visit the gelding. Because he’d never had his previous shoes pulled and they’ve fallen off, taking ragged chunks of hoof wall with them, my friend passed on the horse. But I saw something special in him. The vet updated his shots and had his feet trimmed and reshod before delivering the light chestnut gelding to my home. Given time on good pasture, medicated baths and some TLC he became a handsome horse. I named him Phoenix. At 16 hands and totally unwilling to stand still at the mounting block, he was too difficult for me to mount without help. We began lessons with a super local dressage rider. Phoenix blossomed under her tutelage but he was just not the right horse for me so I put him up for sale. The local foxhunters were interested in him, as he was happy to gallop along, hopping over jumps leading the field, at the back or in the middle. But that’s when he started roaring. Unbeknownst to anyone at the time, the hideous sound was the result of an allergy to cedar which as used in the hunt barn. Unable to sell Phoenix to a local home, I asked my vet about donating him to a vet school. Instead she referred me to a college with an active intercollegiate equestrian team. They reluctantly agreed to take him on tryout for two weeks so long as I promised to come back for him if he wouldn’t fit into their program. Four days later they called to say he wasn’t just a keeper, they loved him. Phoenix became one of their most popular show horses. I found out that he stayed at the college, teaching young riders to jump and show until he was 17 years old. At that time they decided he had earned him retirement and allowed him to be adopted by one of the students. Phoenix wasn’t the right horse for me, nor did he fit in with the local dressage or foxhunters but the students at that college loved him and he had a good career and retired when he still had many more years of being with that one special person. I am still glad I was a part of his journey. It must have been so rewarding to you, Maggie, and Phoenix, for you to have stepped into his life. Spending the time to find a good fit when he wasn’t right for you was a kind and wise thing to do. I imagine your attention to his needs provided him with a very happy and fulfilling life – well beyond when he turned 17. Thanks for sharing! Do horses want a job? Do you know your Western boots?